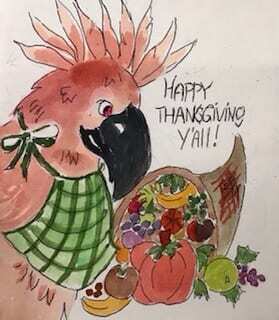 All here at Melbourne Avian Rescue Sanctuary wish all of you a magical Thanksgiving. Please remember us in your thoughts and prayers.. M.A.R.S appreciates so very much all who do so. Wishing y’all a very happy Thanksgiving and keep up the amazing work!